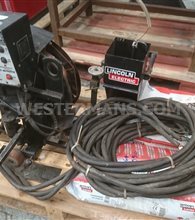 Used Lincoln Electric Welders & Cutting Equipment - Why Buy New? 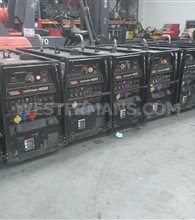 Lincoln Electric Welding equipment includes stick welders, TIG welders, MIG welders, multi-process welders, advanced process welders, multi-operator welders, engine drives, submerged arc equipment, and wire feeders for arc welding. 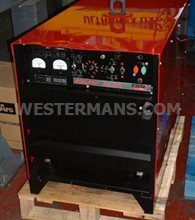 The worldwide manufacturer is loved by the professional welder. 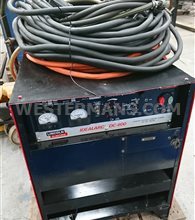 We can supply all types of Used and refurbished Lincoln welding equipment giving you an alternative, affordable option to new equipment. 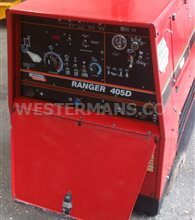 Peace of mind buying from a long standing Welding Equipment supplier and all backed by our warranty package. 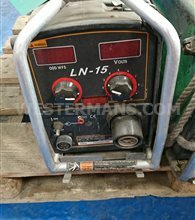 Everyone has heard of Lincoln Electric welding equipment. 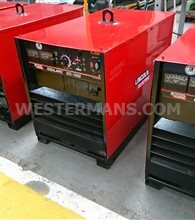 On-site, off-shore, huge fabrication workshops and training centres all use Lincoln welders. 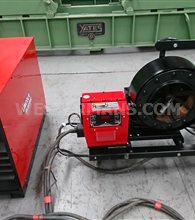 The whole range is covered by these top class manufacturers from MIG/MAG welding power sources to SAW Column and Boom welders. 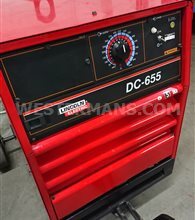 Cutting equipment from Lincoln includes Tomahawk plasma cutters, Spirit plasma cutting systems from Burny, motion and shape cutting controllers, and genuine torch consumables for plasma torches. 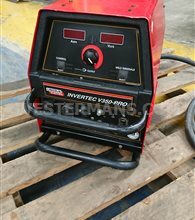 Handheld and mechanized air plasma cutters are portable for fast and precise cutting of mild steel, stainless, brass, copper, and aluminum on the jobsite. 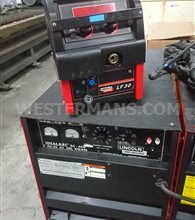 Lincoln Electric also offers a complete line of portable, stationary, and engineered solutions for welding fume control and provide you with a full complement of weld fume extraction solutions. 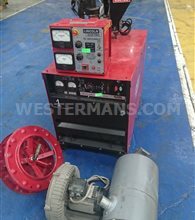 Mechanised automation equipment includes Lincoln seam tracking, welding positioners, manipulators, jaw chucks, motorized slides, manual slides, pipe support stands, turning & idle rolls, and accessories for various automated we​lding applications and processes. 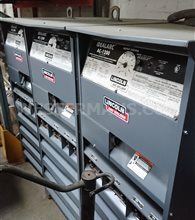 Lincoln Orbital welding systems are designed to incorporate all the welding supplies needed to provide control over the entire orbital welding process. 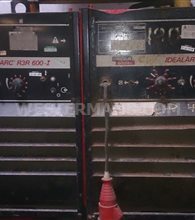 The welding process has strict parameters that must be maintained to meet the requirements demanded from power plants, chemical plants and refineries. 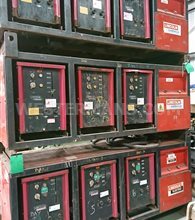 Lincoln Electric Automation Division integrates robotic arc welding equipment and automated welding systems to help you decrease manufacturing costs, increase weld quality, improve welding productivity and enhance your working environment. 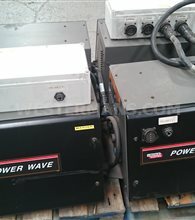 Power Wave® robotic power sources – with Waveform Control Technology®- deliver maximum arc performance across a variety of automated welding applications. Engineered with advanced remote monitoring capabilities, Power Wave® power source solutions keep you in total control of your automated welding process -anytime, anywhere. Entering its second century, the welding profession is maturing, with many employers requiring more exposure to robotic automation, advanced equipment, exotic materials, specialized code certification, theory, welding procedure specifications and more. 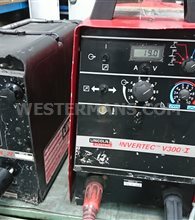 With advances and specialisation, there is a growing need for welders who understand more than how to hold a torch and join metal. 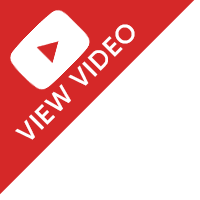 Lincoln Electric's web site is a wealth of information and resources on welder training and qualifications. 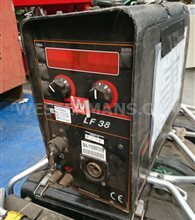 Lincoln Electric have a fantastic web site dedicated to helping YOU the welder. 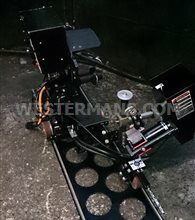 Loads of products info, forums, help and advice. 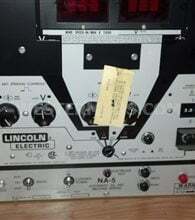 Click here to visit Lincoln Electric web site. 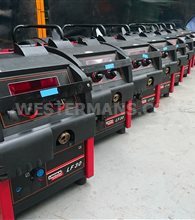 The quality, reliable and robust Lincoln Electric welding equipment will be performing for many, many years whch is why we choose to buy and sell used and refurbished Lincoln equipment. 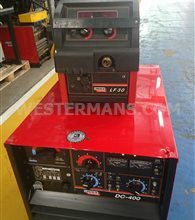 Lincoln Electric's range of high-quality, reliable, efficient welding equipment places optimal welding performance into the welder's hand. 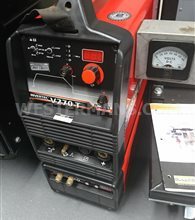 Whether your needs include engine driven welders, portable TIG (GTAW) machines, leading-edge inverter technology controlled by Lincoln's patented Waveform Control Technology®, or fully automated solutions, Lincoln offers a full line of equipment to handle the various welding and cutting process demands for offshore fabrication. 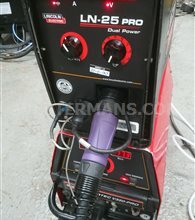 Lincoln also offers equipment to support other aspects of your welding operations. 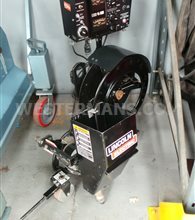 Our Vernon Tool™ computerized pipe and tube cutting systems prepare T-K-Y joints with exceptional fit-up, virtually eliminating all manual loading, measuring and marking operations. 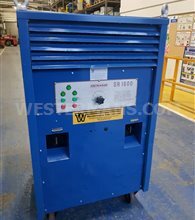 Simple set-up and easy operation ensures fast, accurate cuts on diameters from 2in to 84in (50mm to 2m) OD and weighs up to 90,000lb (40,000kg). Lincoln's electrodes, fluxes and filler materials are produced under a unique quality manufacturing system to ensure the consistent weld performance required for products used in the offshore industry. Offshore fabrication encompasses many different joint configurations and materials which must comply with applicable codes, client requirements, and agency approvals. Lincoln Electric's technical engineers are uniquely suited to work with your team to develop the best processes and procedures for your specific needs, resulting in the lowest overall fabrication costs. 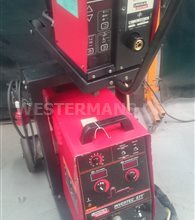 Lincoln Electric is a leader in the design, development and manufacture of arc welding products, robotic arc-welding systems, plasma and oxyfuel cutting equipment and has a leading position in the brazing and soldering alloys market.